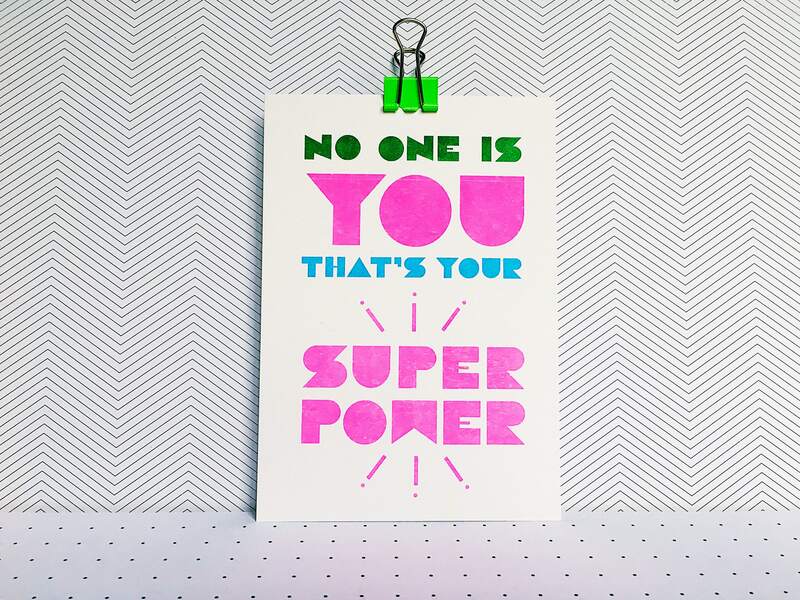 No one is you, that's your super power. 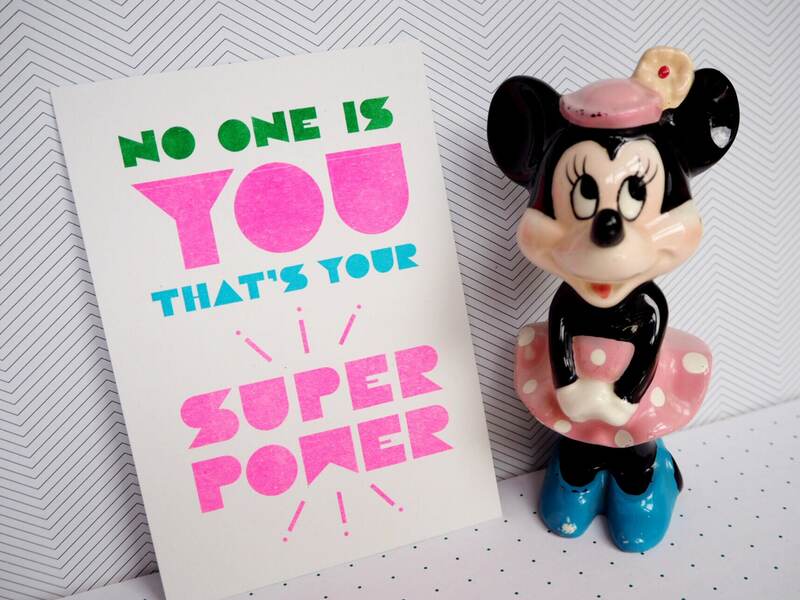 Sometimes you just need them be reminded to believe in you. 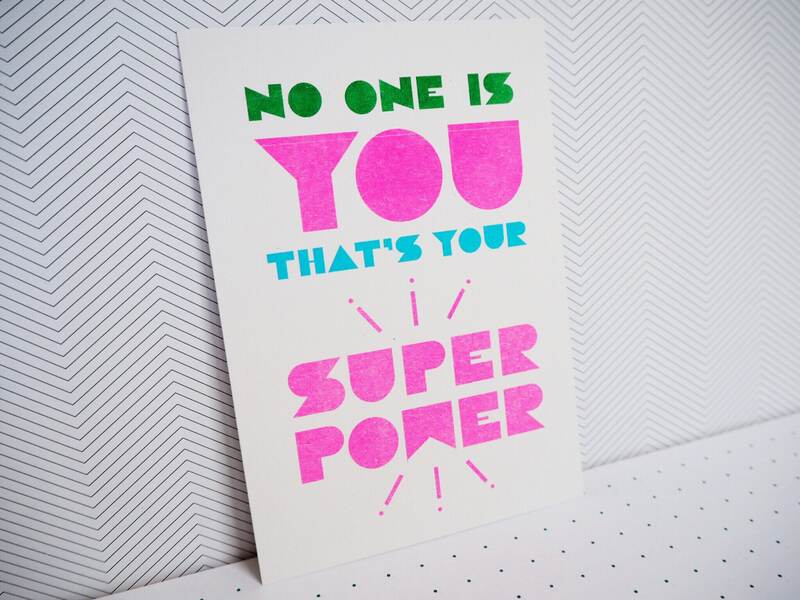 This mini print of positivity is just what you need. 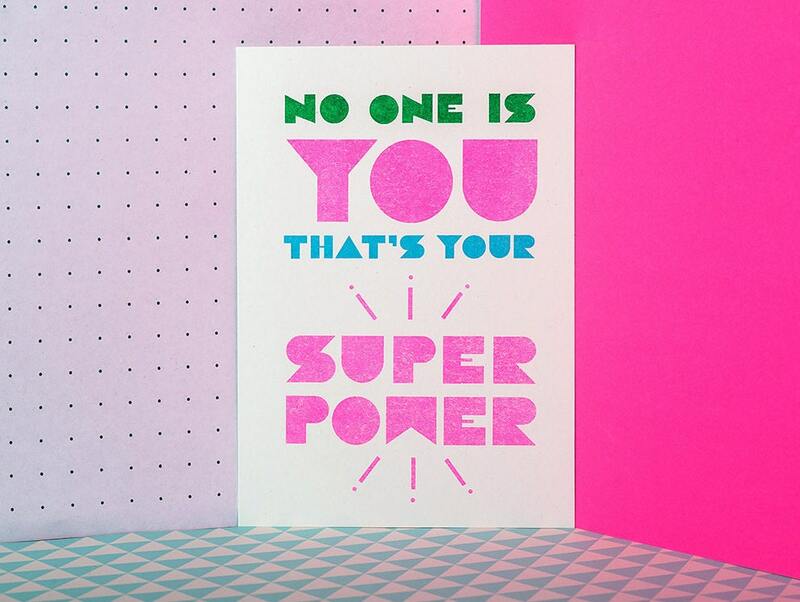 This custom designed geometric typeface printed in vibrant colours definitely makes a statement. 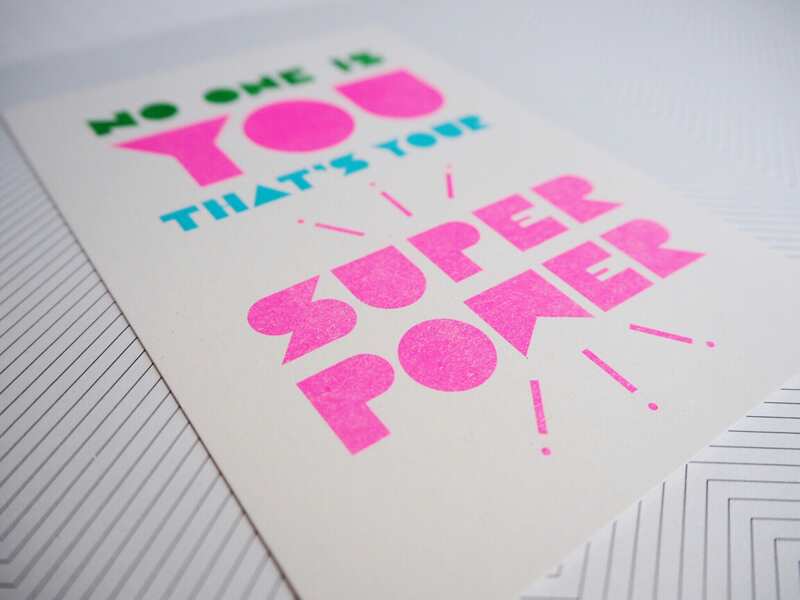 This risograph print comes in 2 sizes. A6 (148 x 105 mm) (4.1 x 5.8") and will fit a standard A6 frame. A5 (148 x 210mm) (5.8 x 8.3") and will fit a standard A5 frame. 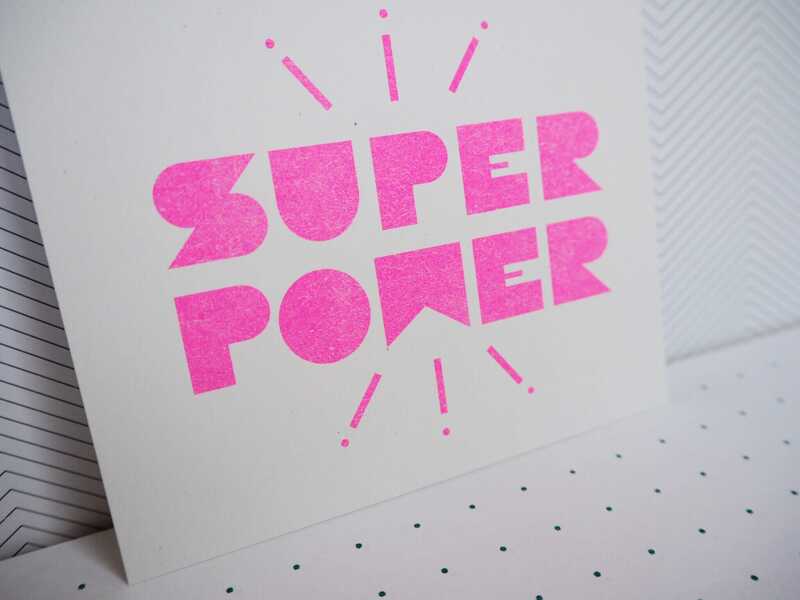 Printed with soy-based inks (Blue, green and Fluorescent Pink) Cyclus Offset paper, a tactile and natural white paper.